The parliament urges to resolve disputes and unite Ukrainian Orthodoxy. The Verkhovna Rada asked on 16 June the Ecumenical Patriarch Bartholomew I to provide autocephaly (self-government) to the Ukrainian Orthodox Church. The draft resolution was supported by 245 votes with the minimum of 226 required. Parliament asks Bartholomew I to issue a tomos (decree) on the autocephaly of the Orthodox Church in Ukraine, on the basis of which UOC could take its rightful place in the family of local Orthodox churches. The Rada also asks Bartholomew to take an active part in the overcoming of the consequences of the division of the church by convening, under the auspices of the Ecumenical Patriarchate, an All-Ukrainian Council of Unification, which would resolve all disputes and united Ukrainian Orthodox Church. The lawmakers requested the Ecumenical Patriarch to void the act of 1686, which was adopted "in violation of the sacred canons of the Orthodox Church". In 1686, the Ecumenical Patriarch Dionysios IV and the Holy Synod of the Church of Constantinople issued a tomos on the transfer of the Kyiv Metropolis into the canonical jurisdiction of the Moscow Patriarchate. The Ukrainian Orthodox Church of the Moscow Patriarchate denounced the request for autocephaly of the Ukrainian Orthodox Church as illegal. The ‘Holy and Great Council of the Orthodox Church’ that opens on 18 June was due to bring together the heads of the 14 Autocephalous Orthodox Churches to consider some of the most pressing issues facing believers in countries around the world today. Over the past few weeks, the Bulgarian, Syrian, Georgian, Serbian and Russian Primates have threatened to boycott the meeting over questions they say should be settled before such a Synod can begin. 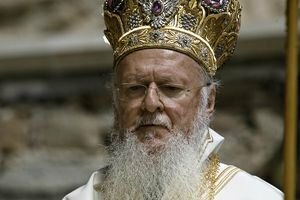 Patriarch Bartholomew, who will preside at the meeting, said he is personally calling the other leaders to remind them of their responsibilities in light of their unanimous decision on the Council’s agenda, taken in Geneva at the end of January.